GT150 provides the full featured gateway between the sensor network and other networks or computing devices. It complies with latest IEE802.15.4g-2012 and ETSI TS 102 887-1. Together with the IP500 Software routing it allows data gathering from the sensor network as well as sending configuration commands to single nodes or to larger groups. 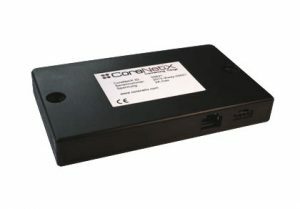 THe CNX GT150 can handle up to 5000 sensors within a network. However in order to build larger networks, the GT150 can be clustered.